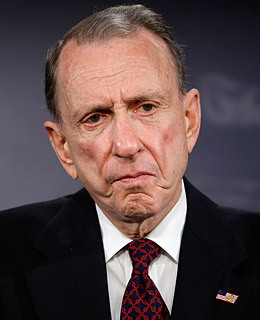 "My party has not defined who I am," said Republican apostate Arlen Specter, ending weeks of speculation on April 28 by announcing his decision to join the Democratic Party. No kidding. Upsetting party politics is old hat for the fifth-term Senator from Pennsylvania: back in 1965, as a candidate for Philadelphia district attorney, Specter shed his Democratic Party affiliation to run as a Republican. That move may have offended a few local pols, but the potential consequences of his more recent shift are more significant: it puts the Democrats one Al Franken victory away from a filibuster-proof majority.